do this HACKERS use number of tools now for this MOZILLA is also in queue to find Information related to Target. Domian and IP, Open Ports, Daemon Banner Grabbing, OS Finger Printing, Server name and Type. Many of poeple use Nmap, Whois etc number of tools for this but you can do this simply by Mozilla. 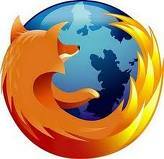 · Open Mozilla Firefox and visit that website from which you want to gather information. · DOWN BELOW THE “DISK CACHE DEVICE” CLICK ON THE LINK THAT SAYS “LIST CACHE ENTRIES“. HERE YOU CAN SEE A BRIEF HISTORY OF THE SITES THAT YOU VISITED. CLICK ON YOUR TARGET SITE’S LINK AND IT WILL DISPLAY YOU THE SERVER TYPE ALONG WITH ITS VERSION IN A CLEAR TEXT, ALSO YOU CA FIND THE PACKET HEADER, REQUEST METHOD WHETHER IT IS A POST OR GET. AND DOWN BELOW YOU CAN ANALYZE THE PAYLOAD OF THE DATAGRAM SHOWN IN HEXA-DECIMAL VALUES. HOPE THIS IS INFORMATIVE; IF YOU LIKE THEN DON'T FORGET TO COMMENT.